So, maybe it’s too late to handcraft gifts yourself for the holidays… OR IS IT??? 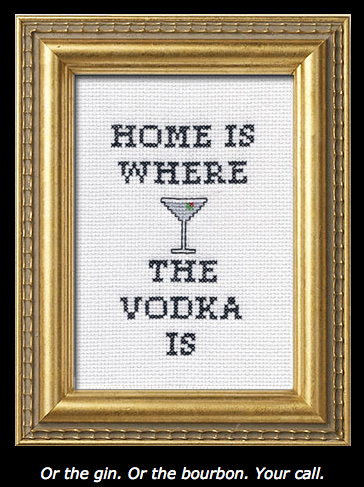 With Julie Jackson’s wonderful, and mostly beginner e-z cross stitch kits, you too can join the handmade revolution. Trust me, I’ve got several of these completed goodies around my Home Sweet Ironic Home… and if I can, you can too. 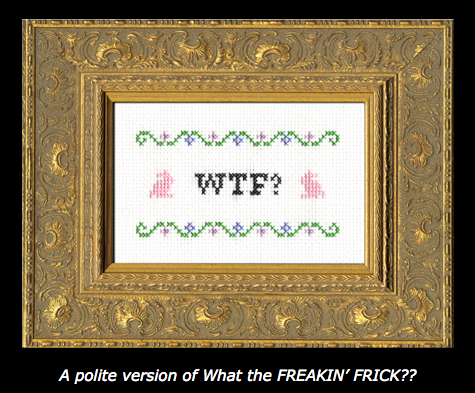 Over at Julie’s shop, Subversive Crossstitch, you’ll find snark for any occasion, including some hilarious R-rated stuff. 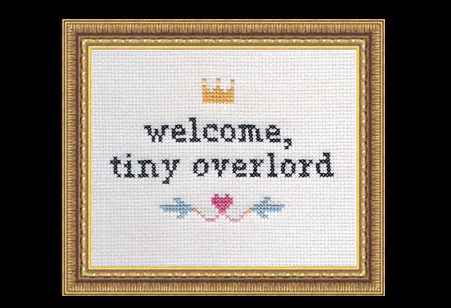 The ornate baroque frames are also available at her shop… and if you ask me, it’s a not-to-be-missed part of the joke. Happy @#$^&*ing Holidays people!